Not a lot of people know this but the rapeseed oil crop cycles can last almost a full year! It is quite common for our farmers to start cultivating in preparation for drilling during early August, weather permitting of course! By late August it’s time to drill into a fine seedbed which is then rolled. Once a strong crop is established it is then left pretty much to its own devises until early spring time when it starts to really grow again. By May the crop is at full height, flowering starts and we see the beautiful blanket of yellow fields across the British countryside. The flowers then start to disappear, the crop is left to mature and the seeds fill to bursting point with wonderful golden oil. 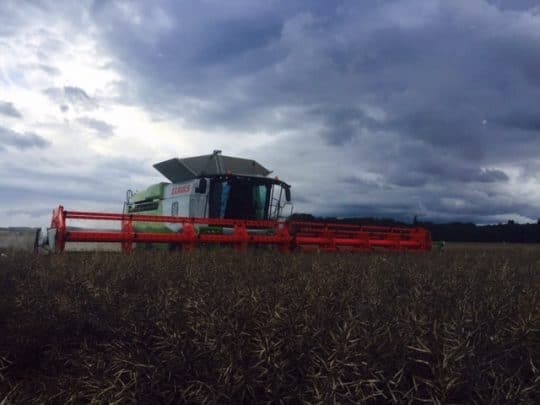 We are always thankful for the warmer months which hopefully lasts until it’s time to send in the combine harvester in late July. 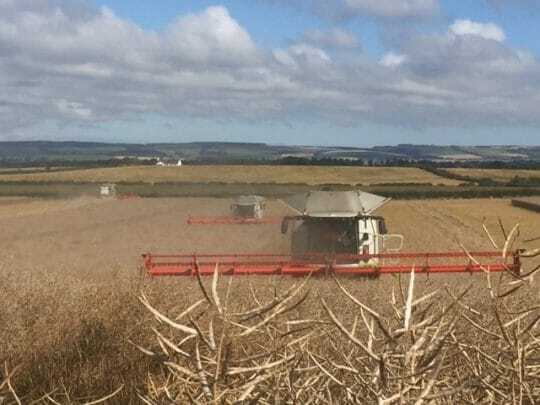 Winter time is by no means quiet on an arable farm though as huge amounts of maintenance works needs to be done, not only to keep everything in tip top order but also in preparation for the harvest. Fences needs mending, ditches cleared, trees planted, hedgerows maintained, tracks repaired, gate ways fixed and that’s without even starting on the vast array of machinery in need of attention to ensure it’s ready for the big job ahead…the summer campaign! Like farmers around the country we’ve all been busy on our various farming enterprises in the Scottish Borders, Northumberland, Nottinghamshire, and Lincolnshire. No two years are ever the same in the farming world as there’s an array of outside forces which affect operations and which we can do nothing about! We’re well known to be obsessed about the weather streams, watching forecasts and saying the odd prayer are regular tasks! The British weather can be a help or a hindrance that’s for sure and hey if it did exactly what it’s supposed to all the time ,what on earth would we find to talk about!